This is an addendum to a previous frame review on the Chumba XCL I did back in February, where I reviewed the different ride characteristics of 3 different builds. Chumba XCL - I'll call it the Freeride L edition. This time around, I went for a light freeride build. I call it my Freeride L edition. There’s not much more about the frame I wanted to review, but more on how the recent upgrades have increased the riding potential of an already capable bike. In building up this version, the “be all you can be” Army recruiting slogan rang true as motivation for what I could get out of this bike. I wanted this bike to be the ultimate trail and light freeride ripper. CCDB w/ DSP Ti spring. At a hair over 31 lbs, this is an impressive build with a coil shock. 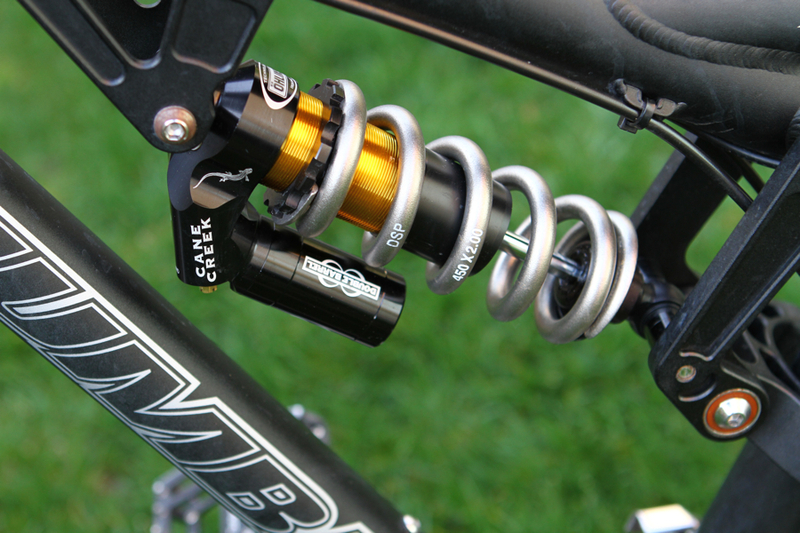 Chumba recently partnered with Cane Creek where the shocks are tuned for the XCL suspension. As the XCL suspension is very linear, it makes for a nice even stroke through the travel. I am running a spring rate that is 50lbs heavier (450 vs 400) than I would on my other bike. This is necessary for 1) they’re different bikes and suspension types and 2) it would provide a balance between good pedaling efficiency and the ability to soak up big bumps. Surprisingly even with a coil shock, it pedals beautifully. 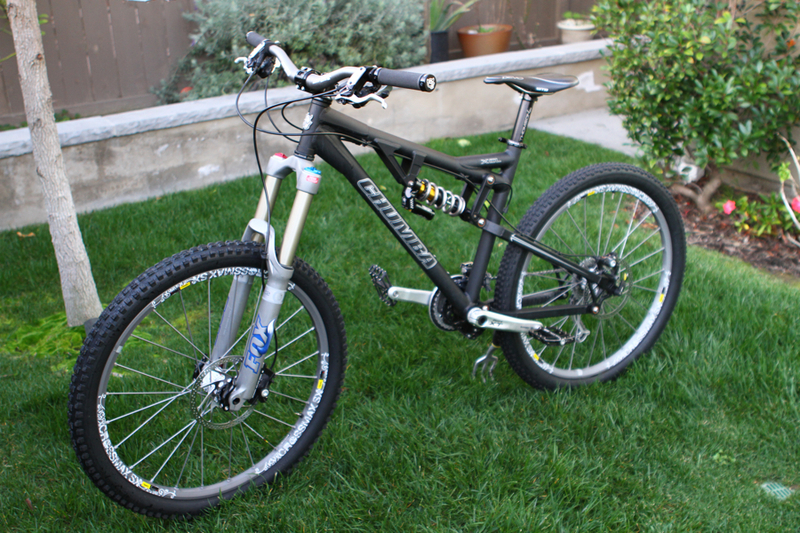 It climbs well out of the saddle, chugs up technical sections and sprints over rocks with ease. All this with hardly a noticeable bob. What I love most about the addition of the CCDB is the compression and rebound adjustments for both low and high speed. I’ve been running the shock in the neutral position for low and high speed compression. For rebound, I have been running more HSR and in the middle for LSR. Most of my riding is done in more aggressive trails mixed in with stunts and jumps, which makes the shock a blast to ride because of what it can accommodate. 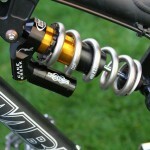 Having 160mm fork with the CCDB shock provides a new level of confidence and has definitely boosted my stoke. It’s now even more fun than I would have imagined. It’s still a fun jumper and predictable in the air, however, now I am more easily tempted to do more. After taking a few warm up runs, I gave myself the green light to let it rip. New component upgrades with noticeable change. 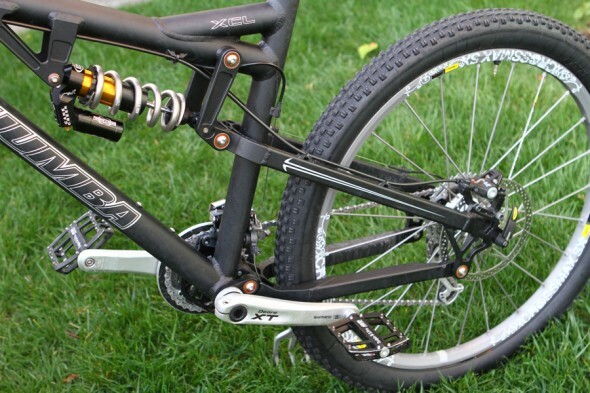 The shock and other components such as wheels, tires, handlebars and brakes have been a welcomed change to the riding characteristics of the bike. In its previous life, I wouldn’t have been comfortable in pushing it as hard. I was pleasantly surprised that it could handle all the stuff I would normally reserve for my 6.5″ freeride bike. As outstanding as it is as a jumper, it is even more enjoyable now in how well it can eat up challenging terrain. The jarring rock sections can be pedaled without the sensation of being bucked off. The former RP23 shock had a higher pitch noise going over rocks and I could feel it in my legs and joints. With the CCDB, it’s a low volume, thud, thud, thud sensation; all I notice is my legs working and powering. These sections are now a blast to do. It feels like I have a throttle and I can just turn it to speed through. brrrapppp!!! 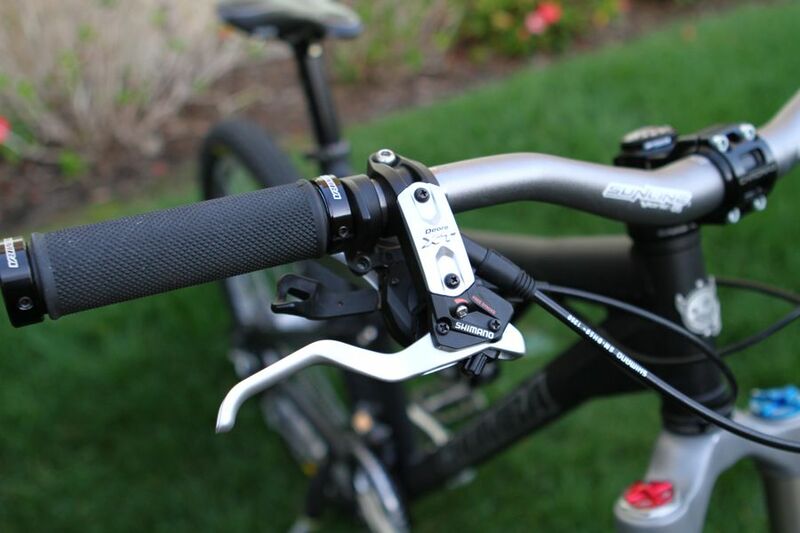 Shimano XT brakes. Sunline V-One bars. Overall the bike feels tighter, more solid and responsive. I attribute this to switching out the carbon bars for the Sunline V-One bars as well as adding the stiffer Mavic Crossmax SX wheels with soft compound tires. This makes perfect sense when you think about the inputs the bike takes from your hands and how it transfers those inputs through the bike and its relationship with the ground. I feel good about saying that the upgrades have surpassed my expectations. Chumba is a small bike company and is super responsive. Their technical support and customer service is friendly and easy to work with. You can often find Alan answering questions directly on the Chumba forum at MTBR. You can also find more info at chumbaracing.com or call them directly with your questions 714.986.9100. GOOD: More capable and versatile for 5″ travel bike. Net benefit: Improved performance. Enhanced riding enjoyment. Trails can be ridden with renewed amptitude. BAD: A little chain slap on some of the burlier stuff. A future component consideration would be a 36T chainring vs. 34T as the big chainring has been removed for the bash guard.